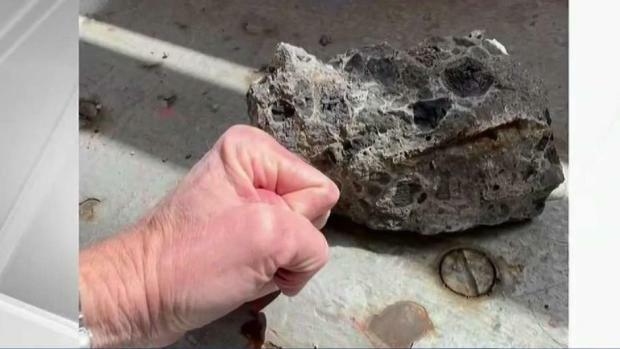 A motorist told authorities that two baseball-sized chunks of concrete fell from the upper deck of the Richmond-San Rafael Bridge and hit her car on Friday night. The driver wasn't injured, but she told authorities that the impacts left dime-sized chips in her windshield, CHP Officer Andrew Barclay said. The incident happened midspan on the bridge between 7:30 and 8 p.m., she told the CHP, and she stopped at the toll plaza to report the damage. The CHP did a rolling check but didn't find any debris on the bridge after the incident was reported, Barclay said. 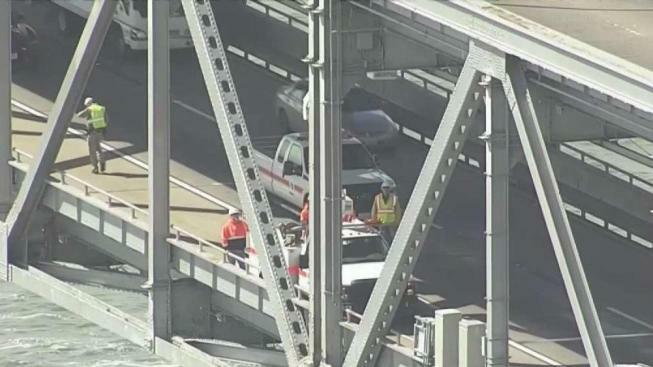 More fallen concrete shut down a portion of the Richmond-San Rafael Bridge Friday afternoon, according to the California Highway Patrol. Jodi Hernandez and Stephen Stock report. Caltrans did not return calls for comment on Saturday about the incident. It's the third time this year that someone has reported pieces of concrete falling onto the lower deck. The bridge was temporarily closed on Feb. 7 after chunks of concrete fell onto the lower deck. Investigators determined an expansion joint that allows the bridge to expand or contract with rising or cooling temperatures had failed. On April 5, a similar incident was reported and two lanes were closed after fallen concrete was reported just west of the mid-span.